I’m happy to be a part of the Blog Parade promoting our 2018 SCBWI Oklahoma Spring Conference this year. We’re really changing things up! The event begins this week on Friday evening, April 6th, and continues through Saturday, April 7th. As always manuscript critiques, and portfolio critiques will be available in limited numbers. This year there are some fun new additions, too! They include: Friday night sessions, Mingle with the Speakers events, paid face time with industry professionals, off-site critiques, and an autograph party. New to our conference? There’s an orientation first thing Saturday morning, just for you! You also might enjoy reading my post, Tips for Attending a Writing Conference. For a full conference schedule, and to register for our event, visit the website. Chad W. Beckerman – Creative Director for Amulet Books, Abrams Books for Young Readers, and ComicArts. creative director at Abrams, where he oversees the design of picture books, novels and graphic novels under the Abrams Appleseed, Abrams Books for Young Readers, Amulet Books, and Abrams ComicArts imprints. Frank Einstein and The Terrible Two. Follow Chad on Twitter here. Follow Chad on Facebook here. Follow Chad on Instagram here. Andrea Hall is an Associate Editor at Albert Whitman & Company where she works on picture books through young adult. She is particularly drawn to stories that have layers of meaning and diversity. Andrea started her publishing career at Pearson Education and is a former ARA of the Central and Southern Ohio Chapter of SCBWI. Andrea answered questions for us in an interview before the conference. View the post here. Follow Andrea on Twitter here. Hannah started as an intern in the New York office before becoming Steven Malk’s assistant. She’s had the privilege of working closely with a variety of talented bestselling and award-winning authors and illustrators of works ranging from very young picture books to middle grade to young adult. Now as a Junior Agent, she’s seeking clients from those genres. To learn more about Hannah’s preferences, visit her agency website here. Follow Hannah on Twitter here. Daniel Nayeri – Publisher at Macmillan Children’s Publishing Group. Daniel worked as Director of Children’s Publishing at the independent publishing house Workman Publishing before being promoted to Publisher there prior to his move to Macmillan in October of 2017. He is now in the process of developing his own imprint at Macmillian. He is also an author of a few children’s books himself, including his latest book, STRAW HOUSE, WOOD HOUSE, BRICK HOUSE, BLOW. Daniel and his family immigrated to the United States when he was eight years old and arrived in Oklahoma. Follow Daniel on Twitter here. Learn about Daniel’s writing here. To Allison, being an agent is a bit like a treasure hunt to find the books that speak to her most easily. Allison is drawn to voices that speak for themselves, stories that only the author can tell, and books that reflect the lives of every child – especially the ones told least often. Follow Allison on Twitter here. Jerry is a full time illustrator who illustrates comics, storyboards and children’s books whose clients include Stan Lee, Marvel, Lucasfilm, Mattel and Dreamworks. He art directed and led cinematography for the animated short film, Even in Death, which won several film festival awards, and since gone to create trailers for Scholastic Books. Jerry is currently creating original licensed sketchcards for Upper Deck’s Marvel line, and Topps’ Star Wars and The Walking Dead sets. Learn more about Jerry’s work here. Follow Jerry on Twitter here. Follow Jerry on Facebook here. Follow Jerry Instagram here. Emily has over ten years of experience working on campaigns to promote books for ages 0-18, with a focus on retail, library, and educational markets. She will host a Skype breakout session with us entitled, “Marketing Your Published Books”. Follow Emily on Twitter here. This year, Oklahoma City is the host city for the conference. Mark your calendars for April 6-7th. You won’t want to miss it! For more information about our conference and to register for this event, CLICK HERE. I’m the final stop on this blog parade, so if you’ve missed any of the other wonderful bloggers participating, here are their sites. Make sure to check them out! I’m so thrilled that Andrea Hall, Associate Editor with Albert Whitman & Company, will be speaking at our 2018 SCBWI OK Spring Conference this April. Andrea will give a talk entitled, “The Antagonist, a Striking Alternate Reality of Your MC”, about two characters vying for the same external goal and their flaw-revealing, stake-raising journeys. She will also have a break out session entitled, “The First Steps in Creating Award-Worthy Books”, which is aimed at people new to the children/teen publishing world. To help us get to know her even better before the conference, Andrea agreed to answer some questions we received from some of our SCBWI OK members. Valerie Lawson: Welcome to the blog, Andrea! Thank you so much for taking the time to answer our members’ questions, today. Question #1 – If you could tell a writer one thing to help them get published, what would it be? Andrea Hall: Don’t give up! Keep writing and trying. One never knows which project will be the one that will get published. VL: Ah! Persistence is so important. VL: Question #2 – Have you ever found a manuscript at a conference that you went on to publish? AH: Not yet. But I’ve heard stories from other editors. I did have a published author pitch me the novel of another member of her writing group at a trade show, and I did go on to publish that. Question #3 – What makes you cringe in a query letter? If only we could predict that! VL: Yes, it’s always important to follow the submission guidelines! Question #4 – What words would you recommend authors replace in their writing? AH: This is going to be different for each writer. For picture books, every word needs to count. Eliminate the words that are unnecessary. For novels, look at words or phrases that are overused and try to avoid repetition. VL: Question #5 – Do you prefer picture books written in past or present tense? AH: I don’t have a preference. VL: Question #6 – Could you explain what goes on inside an acquisition meeting? AH: This is where the editor pitches the book to the rest of the group and works to get everyone (hopefully) excited about it. We discuss how the book fits into our list and get feedback from sales and marketing. This determines whether or not the editor gets the green light to acquire the project. VL: Question #7 – How do you feel about sensitivity readers? Who is expected to obtain the services of sensitivity readers, the author or the publisher? AH: Sensitivity readers serve the necessary purpose of ensuring authenticity when writing outside one’s own cultural group. I feel it falls to both the author and publisher—the author needs to do their due diligence to make the work as authentic as possible, and the publisher needs to also double-check and verify accuracy. VL: That makes sense. Double-checking is always a good idea. Question #8 – In Middle Grade historical fiction, is it a problem if the action of a story begins when the main character is very young? (Knowing kids who read Middle Grade like characters that are a little older than they are, and also wanting to stick to the facts as much as possible without turning off readers.) Any suggestions? AH: This is tricky without knowing the context of the story. If something significant happened to the MC as a young child, which impacts the overall plot or helped shaped the character, than it makes sense to include. I suggest looking at other historical fiction titles that have done this and then find the best approach for your story. VL: Question #9 – How many titles that you’ve published have come from un-agented submissions? AH: Personally, three books I’ve acquired have been un-agented submissions. VL: Question #10 – What are you NOT seeing from submissions right now that you would like to see? AH: I’m not seeing enough cultural/diverse/#ownvoices stories. I’m always looking for more of these! VL: Thank you, Andrea! It’s been a pleasure! We all look forward to hearing you speak at our conference. And thank you to everyone who submitted a question! Learn more about Andrea and her publishing house here. **While Albert Whitman & Company DOES accept unsolicited manuscripts from unrepresented authors, you MUST follow their submission guidelines. CLICK HERE for their guidelines on Picture Book, Middle Grade, and Young Adult submissions. Want more? You can hear Andrea speak in person at our conference in Oklahoma City this April! For more details on our 2018 SCBWI OK Spring Conference or to register online, CLICK HERE. 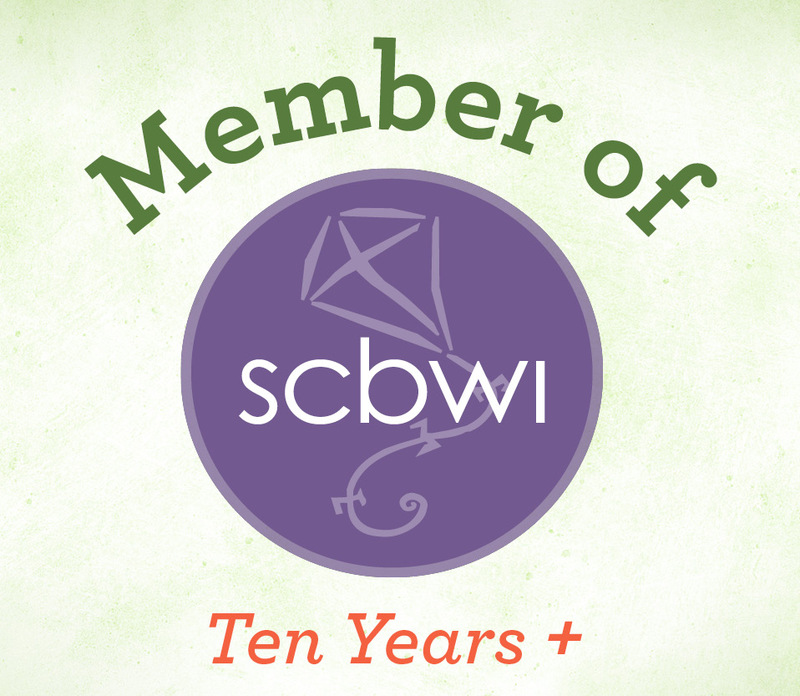 For those who don’t already know, I’m the Social Media Coordinator for the SCBWI Oklahoma Region, and I host a Twitter Chat once a month for our members, although anyone is welcome to join in the conversation. We meet on the fourth Tuesday of the month (and sometimes on additional special dates, too) from 7-8pm CST and we use the hashtag #okscbwichat. If you’ve ever been curious about a Twitter Chat, come check ours out! They are always interesting. And we love meeting new people. I’m so excited to announce the schedule for our FOURTH season of #okscbwichat! I can hardly believe we already have three years under our belt. Wow! We had a lovely topic chat in January all about mentor texts and how they can help you be a better writer. You can view that conversation here. Literary Agent Allison Remcheck is an Associate Agent with the Stimola Literary Studio. She is drawn to voices that speak for themselves, stories that only the author can tell, and books that reflect the lives of every child – especially the ones told least often. Allison will also be speaking at our spring conference in April. Daniel Nayeri is a Publisher at Macmillian. He is also an author of a few children’s books himself, including his latest book, STRAW HOUSE, WOOD HOUSE, BRICK HOUSE, BLOW. Daniel and his family immigrated to the United States when he was eight years old and arrived in Oklahoma. Daniel will also be speaking at our spring conference in April. Hannah Mann is a Junior Agent with Writers House Literary Agency. Hannah started as an intern in the New York office before becoming Steven Malk’s assistant. She’s had the privilege of working closely with a variety of talented bestselling and award-winning authors and illustrators of works ranging from very young picture books to middle grade to young adult. Now as a Junior Agent, she’s seeking clients from those genres. Hannah will also be speaking at our spring conference in April. Chad Beckerman is Creative Director for Amulet Books, Abrams Books for Young Readers and ComicArts. Chad oversees the design of picture books, novels, and graphic novels. He is the designer behind such successful children series as DIARY OF A WIMPY KID, ORIGAMI YODA, Nathan Hale’s HAZARDOUS TALES, FRANK EINSTEIN, THE TERRIBLE TWO, and Bill Nye’s JACK AND THE GENIUSES. He has also designed several bestselling picture books including ROSIE REVERE, ENGINEER, TROMBONE SHORTY, VEGETABLES IN UNDERWEAR, and Jillian Tamaki’s upcoming THEY SAY BLUE. He has had the honor of working with many amazing illustrators including Jeff Kinney, Jillian Tamaki, Dan Santat, Victo Ngai, Sophie Blackall, David Roberts, Art Spiegelman, Jules Feiffer, and John Hendrix most recently on his DRAWING IS MAGIC. Chad will also be a speaker at our spring conference in April. April 29th 1:00PM – Zoe Waring – SPECIAL CHAT DAY AND TIME!!! UK Illustrator Zoe Waring joins us on a special day and time – Sunday April 29th 1:00-2:00pm CST. Author and illustrator of NO HUGS FOR PORCUPINE, illustrator of TRUCK, TRUCK, GOOSE (with Oklahoma author Tammi Sauer), CAT AND DOG, and the upcoming PEEPING BEAUTY (with Oklahoma author Brenda Maier). Zoe Waring has always loved the warmth and humour found in children’s picture books, and is a little obsessed with cute animals… just a little bit. She also loves drawing, has a rather silly sense of humour and a vivid imagination. You can begin to understand why she believes she has THE best job in the world! Heather is the Managing Director of Pitch Madness, Pitch Wars, and #PitMad – contests that help match writers with agents. Previously an Editor/Ambassador for Cornerstones Literary Consultancy US, Heather now freelance edits full time. She’s been an agent intern for over a year. She’ll be answering all of our questions about pitch contests. You can learn more about these contests at pitchwars.org. Pablo Cartaya is the author of the acclaimed middle-grade novel, The Epic Fail of Arturo Zamora (Viking, 2017); Marcus Vega Doesn’t Speak Spanish (Viking, 2018); and two forthcoming titles in 2019 and 2020 also to be published by Viking. He is a Publisher’s Weekly “Flying Start” and has received starred reviews from Kirkus, Booklist, and Publisher’s Weekly. He is the co-author of the picture book, Tina Cocolina: Queen of the Cupcakes (Random House, 2010), a contributor to the literary magazine, Miami Rail; the Spanish language editorial, Suburbano Ediciones; and a translator for the poetry chapbook, Cinco Poemas/Five Poems based on the work of poet Hyam Plutzik. Pablo visits schools and universities throughout the US and currently serves as faculty at Sierra Nevada College’s MFA in Creative Writing. Ashley Nixon-Amador is the author of the YA fantasy CUTLASS series. She graduated from the university of Oklahoma and has a Masters in Library Sciences and Information Studies. She is a Gates Millennium Scholar Alumni. She loves pugs, libraries, and eyeliner. Ashley lives in Oklahoma with her husband. Her Twitter handle is @AshleymNixon. PUG MEETS PIG, illustrated by Joyce Wan (Beach Lane Books/Simon & Schuster) is now in its second printing. We are definitely saving the best for last, here. Sue spoke at our Tulsa SCBWI Anniversary Dinner last year and she was just a delight. Her picture books are so adorable and she’s incredibly knowledgeable about so many things and she is generous with that knowledge with her fellow SCBWI people. You will love chatting with her! As always, we take November and December off for the holidays. Looks like it’s going to be a great year for chats! (And I’m already starting on next year’s schedule – can you believe it?) Don’t forget, if you have anyone YOU want to see as a guest, let me know and we’ll be sure to invite them if we can. Our next chat is coming up soon. Hope to see you there! Ah! New year, new books! New reading challenges, new debuts releasing, exciting sequels we’ve been waiting FOREVER for, all to add to our ever-growing beloved TBR piles. What’s a reader to dive into first? Before we get too caught up in all the shiny new books coming out this year, or just in case you’re looking for some great reads to help you survive until that to-die-for sequel FINALLY arrives, here are some of my favorites from last year, in no particular order. I’ve been dying to read this series ever since I met Marie Lu last summer and received my signed copy of the first book. I absolutely loved her LEGENDS series and couldn’t wait for more. She didn’t disappoint! Adelina is such a fascinating, complex character, and a baddie you’ll love to route for. I thoroughly enjoyed living vicariously through her for awhile. The complex relationships that don’t all turn out the way you think they will (or dare I say, hope they will?) add so many delicious layers to this wonderful series. I couldn’t read fast enough! And those gorgeous covers, ah! Love them. Learn more about Marie Lu here. Follow Marie on Facebook here. Follow Marie on Instagram here. I don’t think any more awards could fit on the cover of this book. Still, I was struck by the title. I was transported by the imagery and moved by the emotions they evoked. Beautiful book. Raised in South Carolina and New York, I always felt halfway home in each place. In these poems, I share what it was like to grow up as an African American in the 1960s and 1970s, living with the remnants of Jim Crow and my growing awareness of the Civil Rights movement. It also reflects the joy of finding my voice through writing stories, despite the fact that I struggled with reading as a child. My love of stories inspired and stayed with me, creating the first sparks of the writer I was to become. In all of those places but mostly in Brooklyn. Learn more about Jacqueline Woodson here. Follow Jacqueline on Twitter here. Follow Jacqueline on Facebook here. Loved everything about this book! Willowdean is amazing and I wish I’d had her confidence when I was younger. Face what scares you head on and throw in a dance number! Honestly, what’s not to love? Cue “Jolene” on repeat. Self-proclaimed fat girl Willowdean Dickson (dubbed “Dumplin’” by her former beauty queen mom) has always been at home in her own skin. Her thoughts on having the ultimate bikini body? Put a bikini on your body. With her all-American-beauty best friend, Ellen, by her side, things have always worked…until Will takes a job at Harpy’s, the local fast food joint. There she meets Private School Bo, a hot former jock. Will isn’t surprised to find herself attracted to Bo. But she is surprised when he seems to like her back. Learn more about Julie Murphy here. Follow Julie on Twitter here. Follow Julie on Tumblr here. Follow Julie on Instagram here. Follow Julie on YouTube here. I enjoyed Bardugo’s Grisha trilogy and I was thrilled to return to her Grishaverse in this new storyline. The characters were exciting and so dynamic. I loved the Kaz/Inej relationship – so different, so touching and painfully strained. Great adventure tale that I ripped through in record time. And did I mention the gorgeous design? Red and black pages. And those covers! I’m a sucker for great design. It inspired me to reread the original Grisha series. I’m sure I’ll reread these stories again soon. Learn more about Leigh Bardugo here. Follow Leigh on Twitter here. Follow Leigh on Tumblr here. Follow Leigh on Facebook here. I met the beguiling Ms. Brockenbrough at last year’s SCBWI LA summer conference where I got her book signed and I’ve been dying to read this ever since. It did not disappoint. I absolutely loved the premise and her characters were just divine. Loved it so much, I did a full post on it. Read full discussion here. Learn more about Martha Brockenbrough here. Follow Martha on Twitter here. Follow Martha on Facebook here. Follow Martha on Tumblr here. My SCBWI OK group read this for their monthly book club. Although I couldn’t attend, I still wanted to read along. Wow. What a fascinating story! I loved the way she used magical realism – so well done. I loved the idea of a town full of gaps where people could just disappear, slip through. The twist of the main character was so interesting, I didn’t see it coming. Loved it. Learn more about Laura Ruby here. Follow Laura on Twitter here. Follow Laura on Facebook here. Follow Laura on Tumblr here. I read this ahead of the SCBWI LA summer conference because Nova Ren Suma was one of the speakers. WOW! This book! So amazing! It was surreal and dark and twisty in the best ways. And Her breakout session on Unreliable Narrators? Outstanding! I can’t wait to get to my manuscript with a certain unreliable character, now. Huge fan for life! Learn more about Nova Ren Suma here. Follow Nova on Twitter here. Follow Nova on Facebook here. Follow Nova on Tumblr here. Follow Nova on Instagram here. So fantastic. A unique experience – like walking into a Dali painting and being able to speak the language of the inhabitants. Fabulous King at her best. Four accomplished teenagers are on the verge of explosion. The anxieties they face at every turn have nearly pushed them to the point of surrender: senseless high-stakes testing, the lingering damage of trauma, the buried grief and guilt of tragic loss. They are desperate to cope—but no one is listening. So they will lie. They will split in two. They will turn inside out. They will build an invisible helicopter to fly themselves far away from the pressure…but nothing releases the pressure. Because, as they discover, the only way to truly escape their world is to fly right into it. Learn more about A.S. King here. Follow A.S. King on Twitter here. Follow A.S. King on Facebook here. Follow A.S. King on Instagram here. Nothing but net. So good! Couldn’t put it down until I reached the end. I picked up this book while in LA at the SCBWI Summer conference and had the pleasure of hearing Kwame Alexander recite some of his poetry. He makes it come alive and breathe like a living thing. It’s amazing. This book read just like that. “With a bolt of lightning on my kicks . . .The court is SIZZLING. My sweat is DRIZZLING. Stop all that quivering. Cuz tonight I’m delivering,” announces dread-locked, 12-year old Josh Bell. He and his twin brother Jordan are awesome on the court. But Josh has more than basketball in his blood, he’s got mad beats, too, that tell his family’s story in verse, in this fast and furious middle grade novel of family and brotherhood from Kwame Alexander (He Said, She Said 2013). Learn more about Kwame Alexander here. Follow Kwame on Facebook here. Follow Kwame on Twitter here. Follow Kwame on Instagram here. Beautiful, heart-wrenching, and just so touching. I’ve always wanted to know more about the kids who were evacuated during the war. Ada, what a kid after my own heart – fantastic character! This is the perfect story for that. Loved this book! And the sequel! Learn more about Kimberly Brubaker Bradley here. Follow Kimberly on Twitter here. Fantastic storytelling. Absolutely loved it! As a Tulsan, also appreciated this part of our history being told so thoughtfully. Some bodies won’t stay buried. Some stories need to be told. Learn more about Jennifer Latham here. Follow Jennifer on Twitter here. One of my favorite reads this year by far. Absolutely loved Starr and her whole family. Such wonderful characters. Learn more about Angie Thomas here. Follow Angie on Facebook here. Follow Angie on Twitter here. Welcome to the winter session of the Relaxed & Groovy Book Club. We’re wrapping up the year with a fantastic book. Each session this year, instead of revisiting a favorite read from the past, I’ve been reading a book for the first time right along with you. This is the third book I’ve read from Julie Murphy, and it may be my new favorite. Even though I’ve interviewed her before on this blog, I’ve never actually met her in person until this summer when she was doing an Epic Reads tour. And what a treat! As much as I loved her second book DUMPLIN’, which she said was all about her outer self, I couldn’t wait to read RAMONA BLUE once she described it as being all about her inner self. She also said this is what made RAMONA BLUE her most difficult book to write thus far. I can tell you, the effort she put into it was totally worth it! Since then, it’s been Ramona and her family against the world. Standing over six feet tall with unmistakable blue hair, Ramona is sure of three things: she likes girls, she’s fiercely devoted to her family, and she knows she’s destined for something bigger than the trailer she calls home in Eulogy, Mississippi. But juggling multiple jobs, her flaky mom, and her well-meaning but ineffectual dad forces her to be the adult of the family. Now, with her sister, Hattie, pregnant, responsibility weighs more heavily than ever. The return of her childhood friend Freddie brings a welcome distraction. Ramona’s friendship with the former competitive swimmer picks up exactly where it left off, and soon he’s talked her into joining him for laps at the pool. But as Ramona falls in love with swimming, her feelings for Freddie begin to shift too, which is the last thing she expected. I absolutely loved the way this story depicted how Ramona struggled and came to terms with her discovery of feelings for both guys and girls, even when it went against what others in her life wanted. This is a memory I want to keep forever: Grace standing at the stove of her parents’ rental cottage in one of her dad’s oversize T-shirts as she makes us a can of SpaghettiOs. Her mom already cleaned out the fridge and cabinets, throwing away anything with an expiration date. “Almost ready,” says Grace as she stirs the pasta around with a wooden spoon. “I should probably leave soon,” I tell her. I hate prolonged goodbyes. They’re as bad as tearing a Band-Aid off one arm hair at a time. She takes the pot from the stove and drops an oven mitt on the kitchen table before setting it down in front of me. Scooting in close, she winds her legs between mine and hands me a wooden spoon. We’re both white, but my legs are permanently tanned from life on the coast (though a little hairy, because shaving is the actual worst), while Grace’s normally ivory skin is splotchy and irritated from all the overexposure to the sun. And then there are her feet. “My feet are not hairy,” she insists. I almost come back at her with some dumb quip, but the clock behind her melts into focus, and I remember. Grace is leaving me. I knew she would leave me from the first moment we met on the beach as I handed out happy-hour flyers for Boucher’s. She lay spread out on a beach chair in a black swimsuit with the sides cut out and a towel over her feet. I remember wishing I knew her well enough to know why she was hiding her feet. This is our last meal together. In less than an hour, her mom, dad, and brother will all wake up and pack whatever else remains from their summer in Eulogy into the back of their station wagon, and they’ll head home to their normal lives, leaving a hole in mine. Who knew eating SpaghettiOs steamy? What a great opening. My heart broke a little for Ramona Blue as she said goodbye to her summer love. But the wait was short before a new love interest arrived and things got complicated in a very interesting way. Murphy paints a very vivid picture of the setting, Eulogy, Mississippi, as well as Ramona’s domestic life and her connection to her sister, Hattie. Ramona’s sense of domestic responsibility drive a lot of her life decisions. I began to outgrow this place somewhere around the summer before ninth grade. I’d always been tall, but that last growth spurt tipped me over from tall to too tall. The ceilings of our trailer stretch as high as seven feet, which means my six-foot-three frame requires that I duck through doorways and contort my body to fit beneath the showered in the bathroom. Inside my room, I rest my bike against my dresser, and just as I’m about to flip on the lights, I notice a lump lying in my bed. “Scoot over,” I whisper, tiptoeing across the floor. Hattie, my older sister by two years, obliges, but barely. “Tyler is a furnace,” she mumbles. I slide into bed behind her. Always the little sister, but forever the big spoon. We used to fit so perfectly into this twin bed, because like Dad always said: the Leroux sisters were in the business of growing north to south, and never east to west. But that’s no longer the case. Hattie’s belly is growing every day. I knew she was pregnant almost as soon as she did. So did Dad. We don’t waste time with secrets in our house. “Make him go home,” I tell her. Maybe a few months ago, Hattie would have been right. Up until recently, the two of us had plans to get out of Eulogy together after graduation. Not big college plans. But small plans to wait tables or maybe even work retail and create a new life all our own in a place like New Orleans or maybe even Texas. A place without the tiny little trailer we’ve called home for too long now. But then Hattie went and got pregnant, and even though neither of us have said so out loud, I know those plans have changed. Tyler is here for now, but I can’t imagine he’s anything more than temporary. My plans were never extraordinary to begin with, and now that Hattie has my niece or my nephew incubating inside of her, they’re even less important. Hattie’s my sister. She’s my sister forever. “And I can’t kick Tyler out, by the way,” she adds. I prop myself up on my elbow and open my mouth, waiting for the words to pour out. But I’m too shocked. And horrified. She loops a loose piece of hair behind my ear, trying to act like this is no big deal. “Dad said he could move in,” she whispers. There are so many things I want to tell her in this moment. Our house is too small. Tyler is temporary. There will be even less room when the baby comes. I don’t need another body in this house to tell me that it’s too small and we’ve all outgrown this place. And yet I feel like I’m the only one of us who sees it. I’m the only one wondering where to go from here. And then things get really interesting when an old friend comes back to town. Ramona hasn’t seen Freddie since they were little kids playing on the beach together. Now, he’s back for good. In front of his house, he hops off the back of my bike and pulls me to him for a hug. My chin fits snugly in the crook of his shoulder. Hugging at this height can be so awkward, but nothing about our embrace makes me feel like I’m bumbling. In sophomore chemistry, Mr. Culver told us the most important thing to take away from his class was that the world isn’t made up of isolated incidents. Knowing the elements was important, but even more relevant was knowing how they changed when combined with others. And that’s what I’m most terrified of right now — how Freddie and I will change when combined with others. I watch as he sneaks around the side of his house into the backyard. I have some time to kill before my paper route, so I go home to change my clothes. Hattie is spread out in my bed with a limb touching each corner, and the bathroom smells like puke –from Tyler, I assume. Even though it might be nice to crash on the couch for a little bit, I can’t get out of here fast enough. The whole process of being in my house feels like I’m creeping against the wall of a narrow, smelly hallway. Nothing about it says home right now. As I’m walking my bike out of the trailer park, my phone buzzes. GRACE: How can I be this lonely when I’m surrounded by people? I miss you. Normally this sentiment would feel all too familiar, but tonight I didn’t feel lonely. Not at all. Some days are worse than others, I finally type. I miss you, too. Ramona’s feelings slowly change toward Freddie from familiar comfort friendship to deeper feelings that leave her confused and conflicted. Watching her navigate them and find her own path is well worth the read. Fantastic characters all the way through. Absolutely loved this book! New books for the new year! We’ll discuss debut novels all year long! Sound fun? If so, join me. Here’s the first title, and man, what a debut it was!